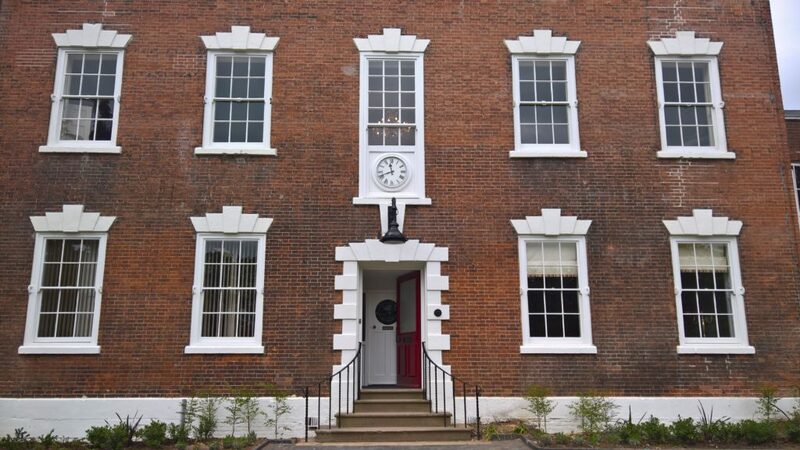 Rushcliffe Borough Council is delighted to be officially unveiling the renovated Bridgford Hall this week. The renovation work was carried out by Edwinstowe-based Robert Woodhead Ltd, who have installed brand new features such as a new lift shaft and entrance point for the aparthotel, whilst carefully restoring historic architectural assets such as fireplaces and window frames. Purcell Architects were the project architects. Craig Pygall, Construction Director for Robert Woodhead Ltd, said: “Restoring a building as beautiful as Bridgford Hall is a real privilege. During our time on site we have made some fantastic discoveries. From the Victorian Well we discovered early on in the build, to the original Agas, bread ovens and scullery doors, which have been preserved and now remain exposed in the new offices. Carl Bridge, Director at Birchover Residences, who manage the aparthotel said “We are thrilled to be the custodians of this fine building. Since the very first day that we became aware of the opportunity to open our latest luxury apartment hotel at Bridgford Hall, we have been excited to be a part of this momentous project.